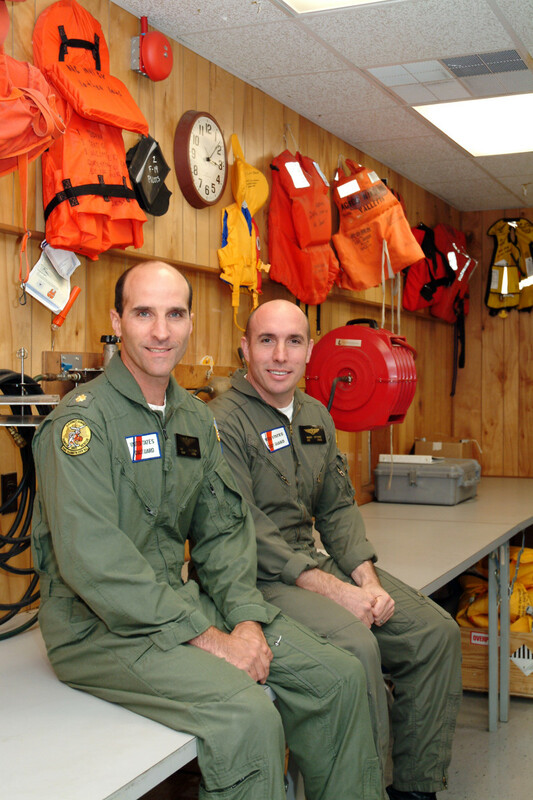 About seven years ago I was having lunch with an old friend, Coast Guard helicopter pilot Dan Molthen. Dan was a pilot on my first flight in a helicopter. He was probably a lot of guys’ “first pilot,” with rescues under his belt from all over the Guard, including the revered and feared Bering Sea during tours in Alaska. “Neither have I,” I said, and we went back to our sandwiches. But his answer wasn’t lost on me. Dan had spent more time looking for lost boaters than anyone I knew. 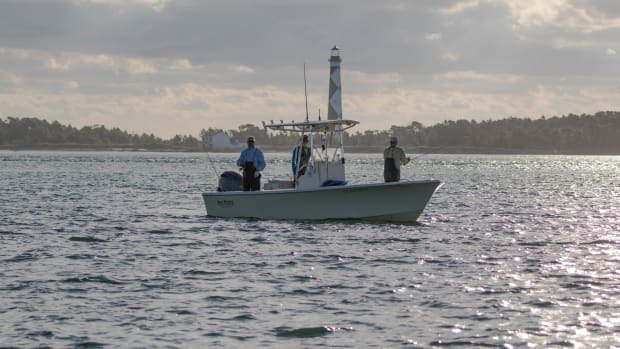 With a combined 45 years in maritime search and rescue, and the better part of our adult lives spent looking for lost boaters, neither of us had ever seen the one document all boaters are encouraged to create prior to a trip. “Maybe boaters that make float plans are the kind who don’t get into trouble,” Dan remarked. I’ve been thinking about that ever since. 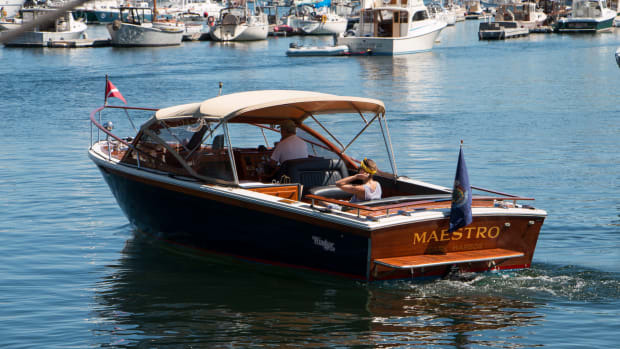 In most cases, the only thing we had to go on when looking for an overdue vessel was a brief description of the boat, the marina from which they left and who was aboard. If we were lucky we knew where they were going, but that was rare. 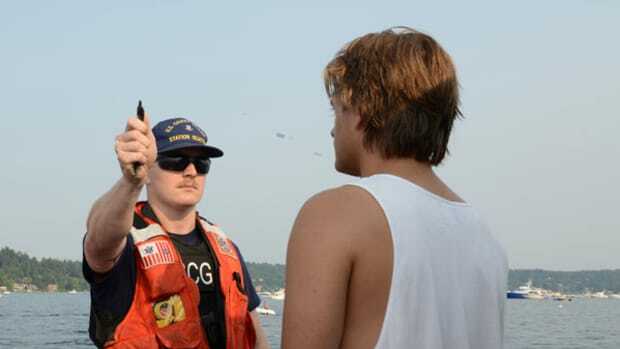 The number of times that the person initiating a search had no idea in which direction an overdue vessel was heading was, perhaps, the most amazing thing I encountered in my Coast Guard career. Thirty minutes after a call like that, guys like Dan and me would be in the air looking for the ubiquitous “open-hulled, white, 21-foot something” with two guys aboard in an area that could loosely be described as a calculated wild guess from the search and rescue controllers. A real float plan is loaded with details. It should contain everything about the vessel, including color of the hull and trim (the bottom paint, too). 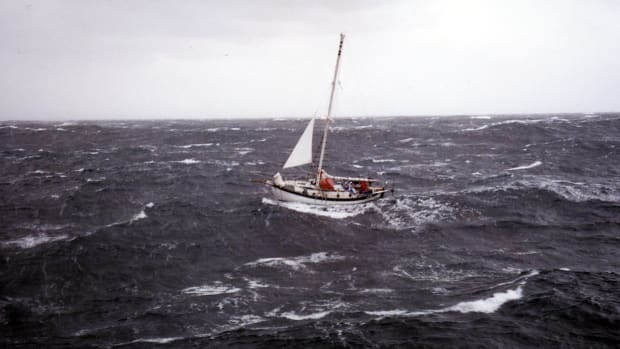 It should contain information about the equipment carried on board, including radios and radar, survival equipment and signaling equipment, as well as the range of the vessel and engine/sail arrangements. 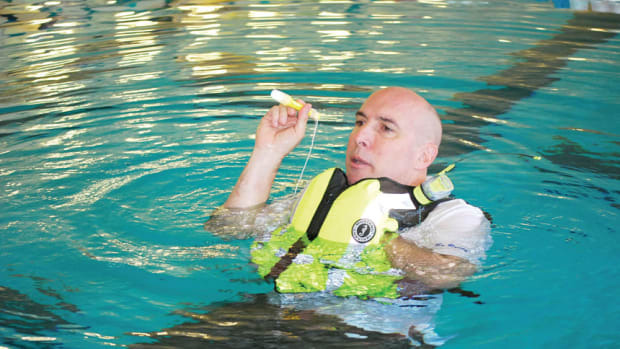 Vital to a float plan are details about who is aboard — and those should include all the things the Coast Guard uses to determine survivability: age, weight, gender and medical conditions. Of course, a float plan should contain as much information as possible about where you plan to go during your trip. Specifics — latitude and longitude are best — should include waypoints, marinas or known points of interest you intend to visit or pass. These details narrow the search area to the places you are most likely to be. There are numerous float plan templates available from various boating organizations, but my hands-down favorite is the official float plan of the U.S. Coast Guard made by the Coast Guard Auxiliary. Unlike other templates, this one was written by the people who do the searching. If they ask for a detail, you can bet they know to use it. Filling out a float plan is going to feel like homework. 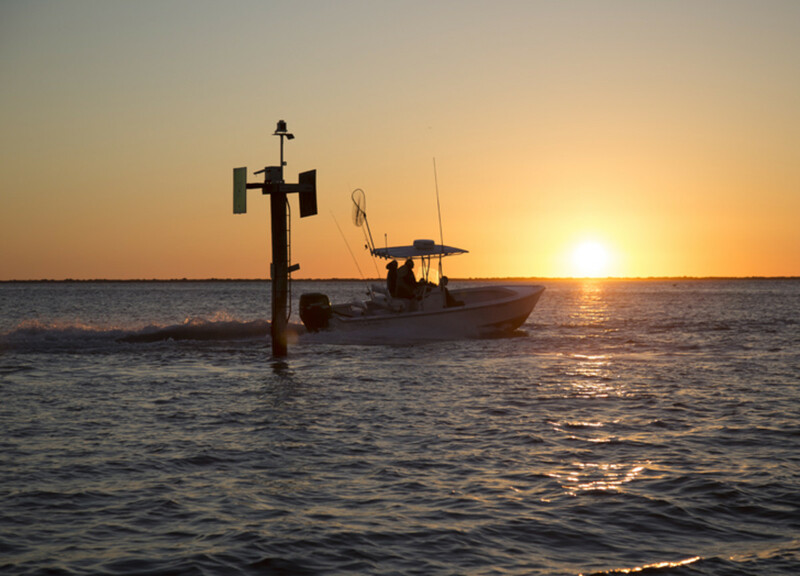 It will take some time (and often research) about your vessel and the equipment on board. You’ll need to know the MMSI number of your radio and EPIRB, for example. 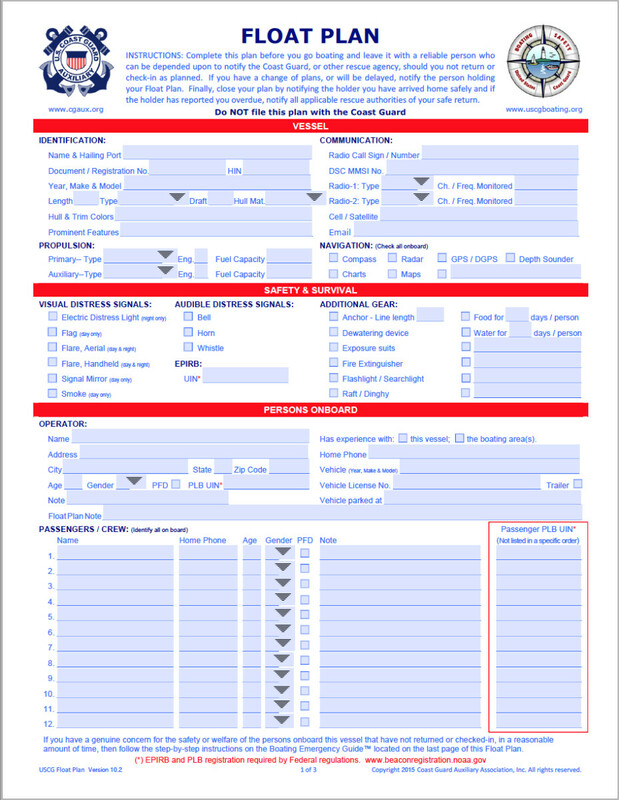 On the Coast Guard float plan, you’ll fill in more than 50 blanks over two densely packed pages, but the answers will become real tools for the people who get the call that you’ve gone missing. Don’t skip any because you think they are not important. When you finish, you’re still going to have to add a couple of pages of information I believe might also help search teams. Remember that every successful search has ended exactly the same way: Someone put eyes on someone else. Though not requested on the USCG float plan, pictures of your vessel, your life jackets and even the people on board can help search teams. Having vessel photos and knowing life jacket colors will inform the senses of search teams scanning a large canvas. It helps them dismiss things that are not your boat and may help them key in on what is. 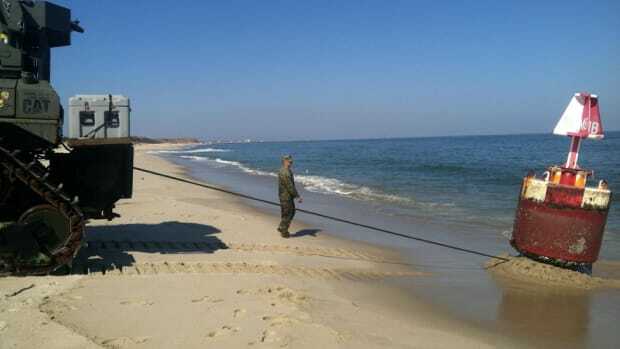 At the very least, pictures let them know if they have found your boat when they find a boat and waste less time. If you haven’t read my “Preparing For Failure” post, do that when you’re done here and insert your “failure plan” into your float plan. Letting search teams know that you had identified contingency ports not on your actual itinerary will also inform the SAR controllers about the search area and help them direct aircraft and vessels to places you might have ended up. All of this may seem cumbersome and a bit too much if you’re just taking a day sail, but if you use the template linked above and add a Word doc with other details, you’ll find that proper float planning will take just minutes before future voyages. I promise you will feel better while you are out there — so will those at home. When I was in the U.S. Coast Guard, I couldn’t say this; but I believe the phrase “Always wear your life jacket” is terrible advice. You never know when you might be stuck on your boat out on the water. This time of year, when a sunny, 78° day can turn into a cold, rainy night in a matter of hours, being prepared can mean the difference between surviving until you're rescued and hypothermia - or worse. Exploding lava, missing and unlighted buoys, channel shoaling and daymark destruction are just a few things you can find in a Coast Guard Local Notice To Mariners (LNM). Mario Vittone explains why you should check the LNM for your area every week in his latest Lifelines: Safety And Rescue At Sea blog. 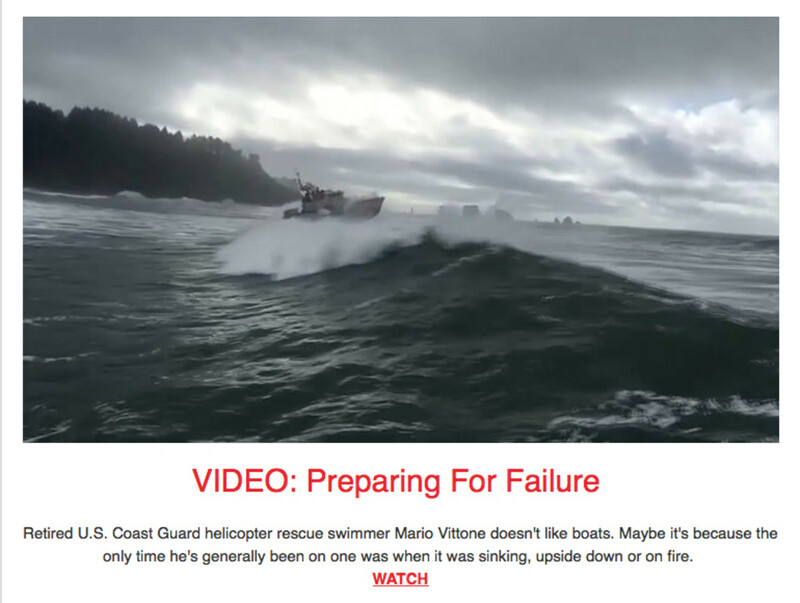 Some of the life lessons that Mario Vittone’s mother (and Ben Franklin) instilled in him applied to his work as a Coast Guard rescue swimmer. They’re food for thought for all boaters. How do you find out if the captain on your next fishing charter or head boat excursion is a capable one? 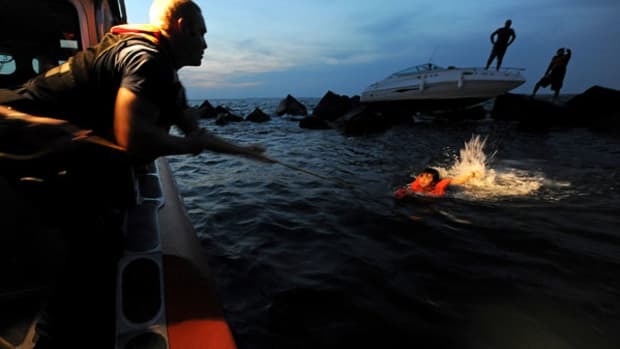 Mario Vittone writes about the three questions he asks, when in doubt, in this week’s Lifelines: Safety And Rescue At Sea blog.